From Marriage to Homeownership: A Dream Come True - Housing Partnership | Bringing you home. Keeping you home. 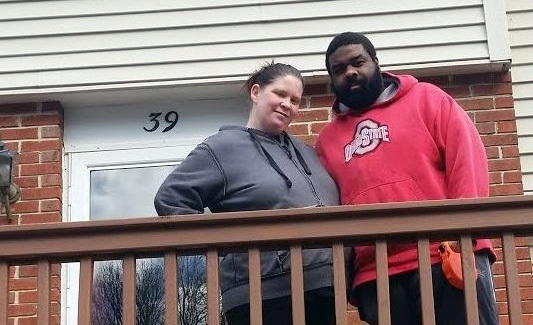 After Ashley Conway and her husband tied the knot, she says “something in both of us clicked” and they were finally on the same page when it came to becoming homeowners. They also knew they would need to begin preparing for what was unfamiliar territory for the young couple. Neither of them knew the first thing about buying or owning a home, but they did know where to go to get the help they needed. “Mike and I wanted to make sure we knew exactly what to expect and how to navigate the entire course of homeownership with confidence,” says Conway. A friend recommended they contact Housing Partnership in Dover, NJ. “Housing Partnership has been the resource for home buyer education and financial coaching throughout Morris County and northern New Jersey since 1992. Our work has changed lives and communities through home buyer education, one-on-one financial coaching and our partnerships with lenders,” says Executive Director Jessica Padilla-Gonzalez. The Conways enrolled in home ownership education classes and learned about various aspects of the home buying process — everything from mortgage offerings to working with a realtor to saving for a down payment. Today, the Conways are owners of a two-bedroom, two-bath home they share with their child and puppy, Zero. Housing Partnership also offers clients post-purchase workshops on topics such as home equity, insurance, maintenance, decorating on a budget and landscaping. Homeownership education never stops!